Tags, collars, and other tracking methods are essential to wildlife research and conservation efforts. Kate Mansfield, a marine scientist and sea turtle biologist at University of Central Florida, studies sea turtle biology, ecology, behavior, management, and conservation. The ability to tag and track young sea turtles in the open ocean helps Mansfield learn where the animals go and what habitats they use. That knowledge, in turn, tells government agencies and conservation groups which places need to be protected in order to keep endangered sea turtles on the road to recovery. Scientists who study sharks also rely heavily on tagging. More than 200 species of sharks appear on the IUCN Red List, and some populations may have declined by as much as 90 percent. Loss of these top predators ripples through entire marine ecosystems; coral reefs can even die when overfishing removes sharks. Their loss also affects commercial and recreational fisheries and tourism. Tagging data support efforts to protect sharks by showing where specific species spend time and the routes they travel in the ocean. Scientists from Florida’s Mote Marine Laboratory Center for Shark Research have placed numbered dart tags on more than 12,000 sharks off the Florida coast. Inexpensive and easy to apply, these provide a shark’s initial location and a second location if the tag is later recovered. Satellite or SAT tags regularly transmit their location, giving scientists more information on a tagged animal’s movements. For example, thanks to SAT tag data, scientists now know that white sharks migrate more than 6,000 miles and whale sharks dive deeper than 3,000 feet. 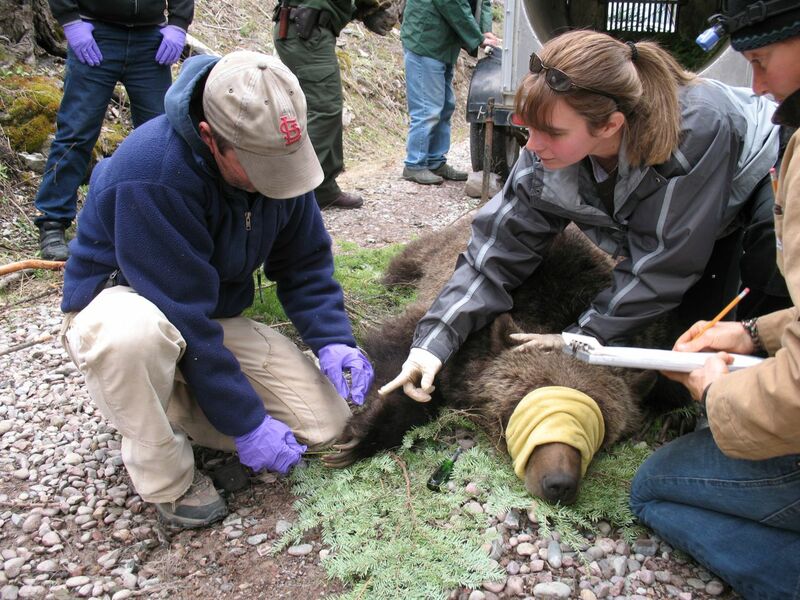 Researchers follow strict procedures for capture, tagging, handling, and release of animals. “Institutions like The Nature Conservancy and universities follow protocols developed by larger research bodies on how to handle animals,” Brenner says. “We’re trying to answer scientific questions without taking a toll on the overall population. We know how fragile animals are, the need to work quickly. We don’t handle the animal any more than we have to. Scientists in Yellowstone National Park use radio tracking collars to keep tabs on wolves that live in the park. 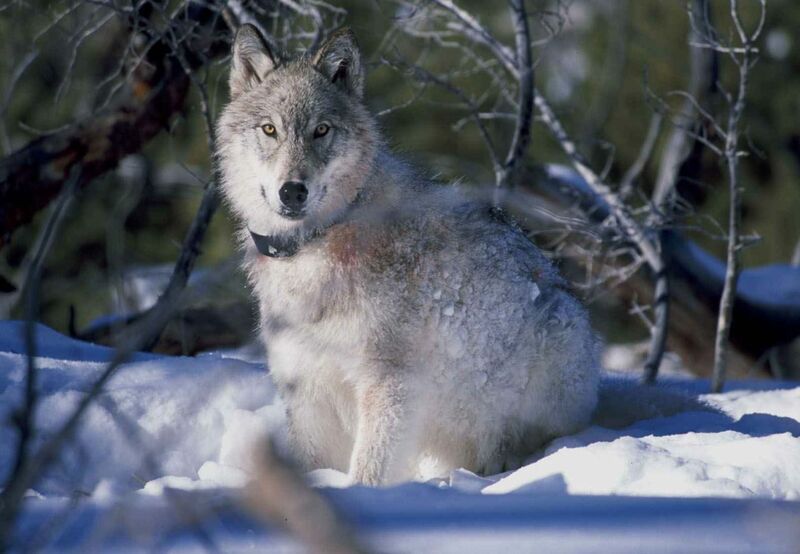 A total of 400 individual wolves have been collared in Yellowstone since restoration of the species there in 1995. “On one hand, we should leave the wolves alone since they live in a national park,” says Doug Smith, a senior Yellowstone wildlife biologist. “On the other, wolves are creatures of fable and mythology and if we do not provide solid information on what they do, people will make it up.” The animals’ stories, created in large part through the ability to track them, show the public that wolves are worth having and defending, he adds. The fame of Yellowstone’s packs also draws positive attention to wolves everywhere. In short, to protect many species of wild animals, we need to learn more about them. Often, that means having to tag, collar or otherwise track them. It’s a game that scientists take seriously.